Our kids love perler beads! That’s kind of why we post so many perler bead patterns…and based on the popularity of those patterns, your kids like them too. 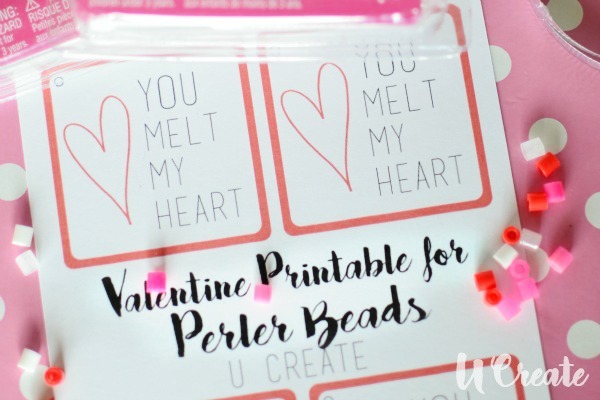 😉 So, today we are sharing a Valentine printable to go with the much beloved perler bead packs we found at Michael’s. #1. 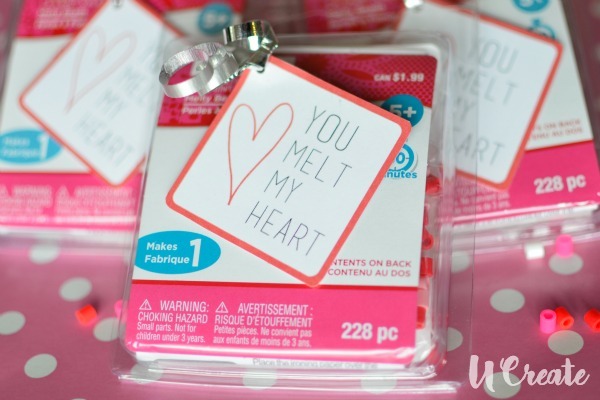 Print out the “You Melt My Heart” Valentine printable. #2. Cut the squares out along the red line. #3. Punch a hole in the corner. #4. Tie the ribbon through the hole and curl with scissors (always my daughter’s favorite part). #5. 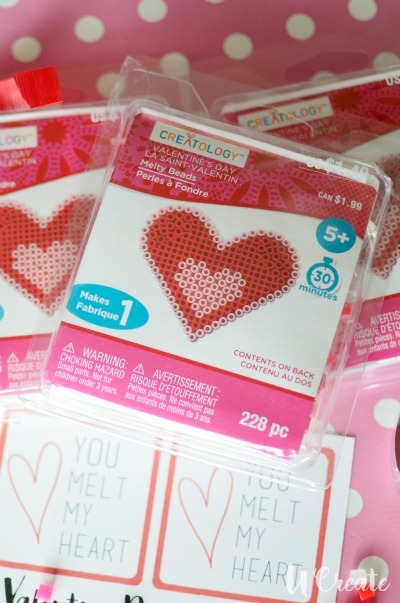 Attach double sided tape or adhesive to the back and adhere it to the Valentine Perler Beads. 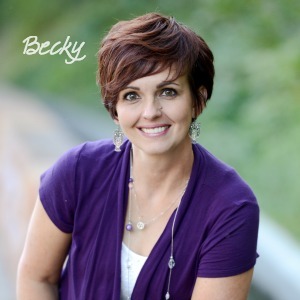 Cute, simple and fun, right?! 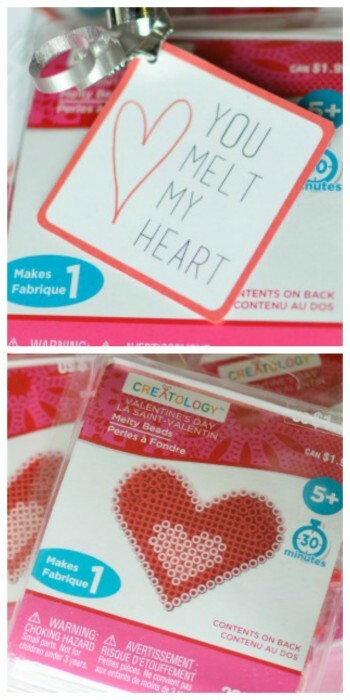 I am one of those moms who give her kids a valentine so…I am giving these to my kids, but they are only $1.49 (reg. price) so you could give them out to friends, cousins, classmates, etc.